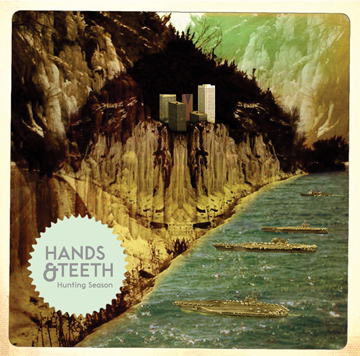 Go NORTH to Detroit, SOUTH to Windsor: Hunting for a Hands & Teeth CD? Hunting for a Hands & Teeth CD? That's right, boys and girls. TWO of you can be the proud owners of Hands & Teeth's debut full-length album, Hunting Season, which will be officially released on Jan. 17. If you can attend their upcoming show on Fri., Jan. 13 at Windsor's Phog Lounge, the first two people to email us will receive a Hands & Teeth - Hunting Season CD. US and Canada only, please.